Nonin pulse oximeters provide continuous monitoring and spot check measurements you can trust across a wide range of hospital settings and patient situations. Nonin fingertip, handheld, and tabletop devices are designed to meet all your pulse oximetry needs. They deliver consistent measurements, both in standalone devices and as components integrated in systems from other manufacturers, such as multi-parameter vital signs monitors. Nonin technologies deliver consistent measurements in hospital settings, day after day. In durability testing, Nonin fingertip pulse oximeters withstood 50 drops from 1 meter (about 3 feet) and still functioned correctly. All Nonin devices are tested to industry standards and carry 510k clearance. The Nonin 7500 Series tabletop pulse oximeter provides user-friendly monitoring across care settings. It features a lightweight, compact, portable design, and an easy-to-use interface with bright LED display for clear readability. The Nonin 7500FO and compatible sensors are designed for use in MRI environments. The Nonin WristOx2 patient worn pulse oximeter is ideal for extended wear during monitoring, such as sleep apnea screening or oxygen qualification. Collected data can be downloaded by USB or Bluetooth. It features an ergonomic watch-like design for enhanced patient comfort, and a large, easy-to-read display screen. The Nonin 2500 Series handheld pulse oximeter delivers portable monitoring with proven durability and optional alarms. Versatile and compact for handheld or tabletop use, it features extended memory capabilities with 72 hours of storage and a battery that lasts up to 80 hours. The Nonin Onyx Vantage 9590 fingertip pulse oximeter represents 25 years of product development from the inventor of fingertip monitoring. Combining rugged durability and clinically proven accuracy, it features patient pulse quality indicators and provides up to 6,000 spot checks or 36 hours of continuous operation. 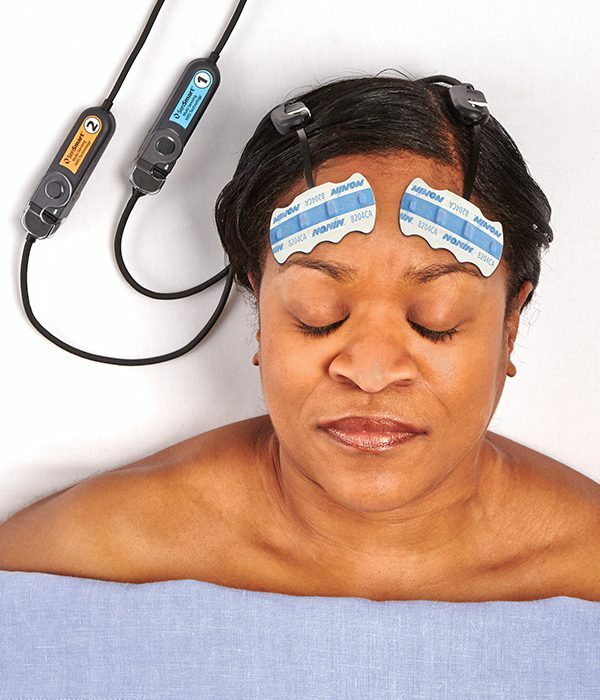 Nonin regional oximetry systems are designed for use in cerebral and somatic applications. They can be used for spot-checking or continuous monitoring of neonatal, pediatric and adult patients in operating room, surgical recovery, critical care, emergency room, long-term care and mobile environments. Our SenSmart® X-100 Universal Oximetry System uses patented dual emitter/dual detector regional oximetry sensor architecture to provide rapid and reliable signals. It minimizes ambient light and electromagnetic interference to deliver greater accuracy than conventional near-infrared spectroscopy cerebral technologies. The SenSmart X-100 features a portable monitor, small signal processors, and interchangeable sensors. Waveform capnography provides real-time feedback on how patients are breathing, either spontaneously or ventilated. Nonin LifeSense® capnograph/pulse oximeter with SpO2 monitoring, and RespSense™ capnograph with proven Nonin sidestream EtCO2 technology, offer the earliest indicator of an adverse breathing event—making them ideal for spot-check and continuous EtCO2 monitoring. Clinically proven PureSAT® pulse oximetry from Nonin uses intelligent pulse-by-pulse filtering. This technology provides precise measurements even in the presence of motion, low perfusion, or other challenging conditions. PureSAT uses smart averaging technology that adjusts to each patient’s condition to provide fast and reliable readings you can trust. Nonin regional oximeters measure rSO2 and provide accurate, reliable, consistent measures of tissue oxygen saturation. These measurements support real-time management of patients at risk for compromised oxygen saturation to the brain and other tissues. More than 30 years of patented oximetry measurement expertise. Products that deliver consistent performance without interruption. Industry-leading warranties and responsive service teams.